In the age of technology and machines all around us, the hours of real pleasure can be sought in the company of your friends and family. Such a momentous time is the desire of every person our tough schedules make it really hard for to take out some time for this recreational activity. But let me suggest that the weekends are the best and apt time to get closer with your family and friends by hosting a small beverage party. 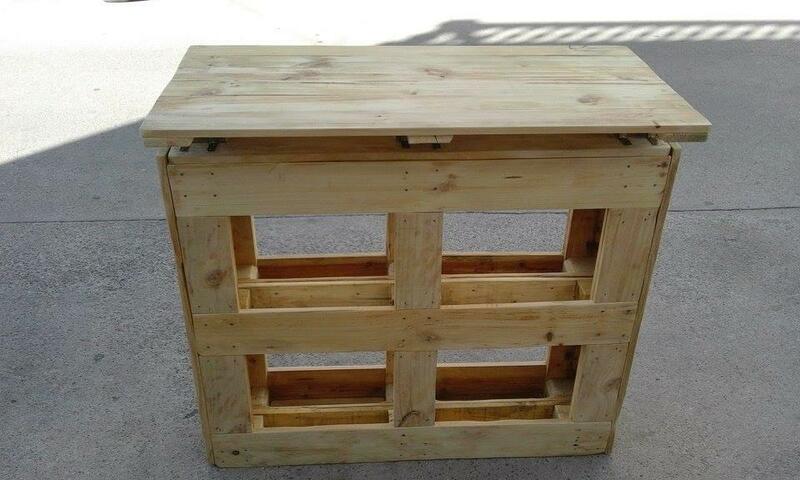 And for the facility of a little bar station of your own we have with us this DIY pallet bar table to hold and store your beverage bottles and drink glasses so that you enjoy a full luxury time with a cluster o dear ones. 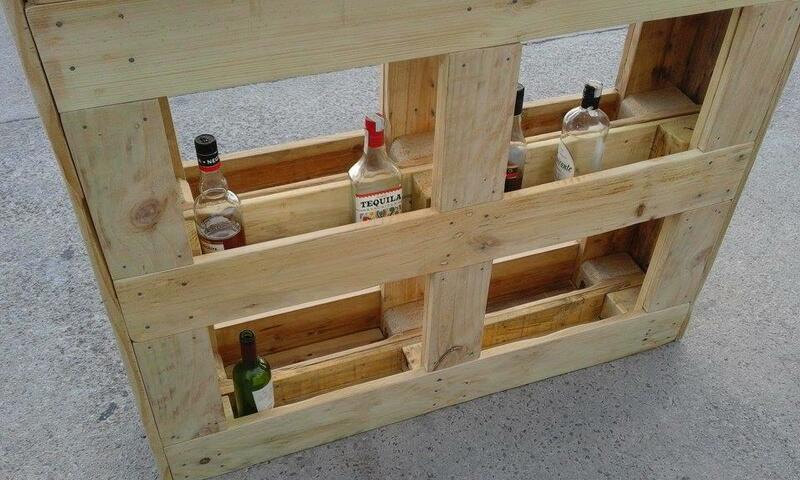 The pallet bar table has been engineered from the pallet slats piece having racks under the table top for storage. 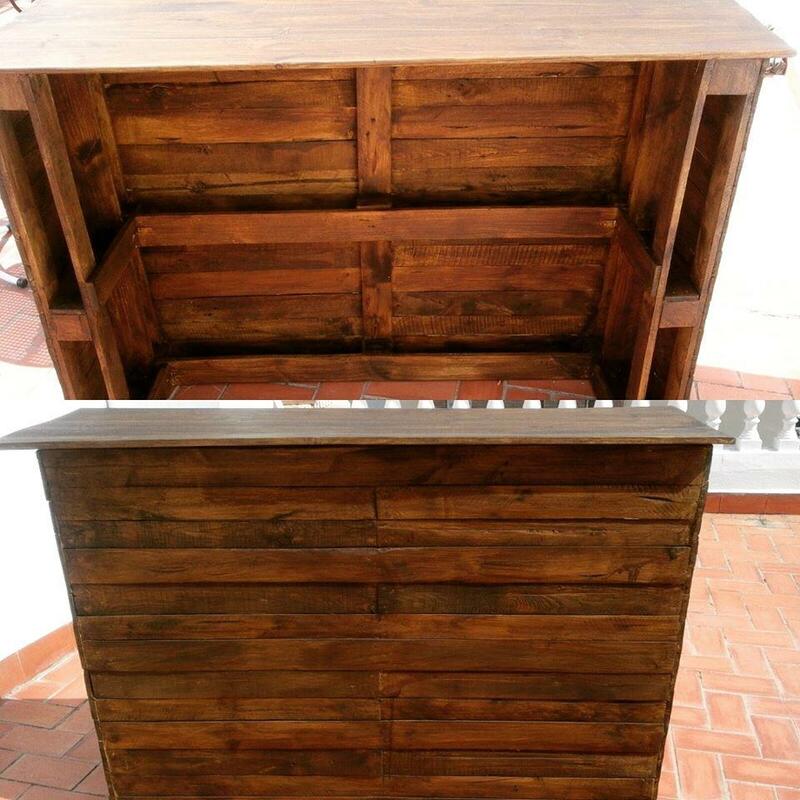 The table top is foldable and thus can be lifted up to turn it into a bar station. Stained in brown shade it looks really a rustic piece to go complimentary with your decor perspectives. 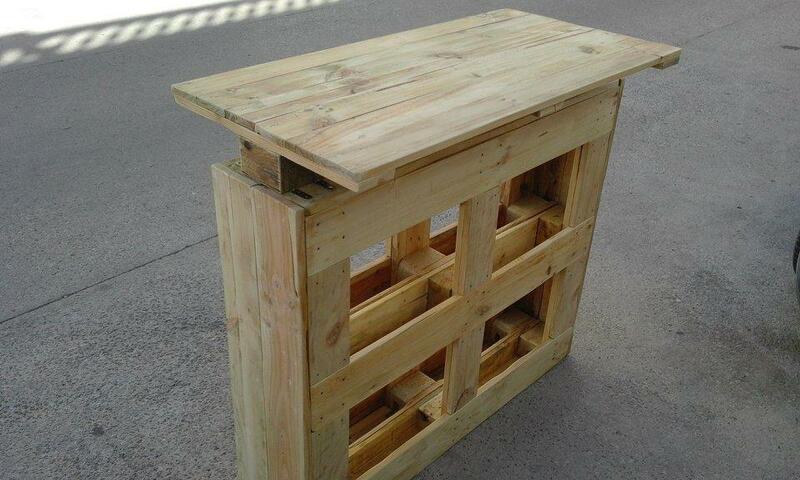 The use of pallets are immense all you need to do is just put your hands on pallets and decide what you need to make out of it that would prove to be a functional addition like this bar table to enjoy a small bar station at home. 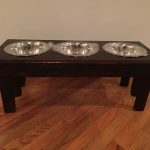 The bar table is a little unique in its design and shape which are the folding table top which has been attached to the table using the hinges and it can lifted up when needed. 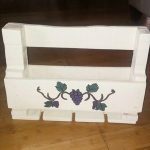 The base of the table has been built with a great creativity and wisdom as it acts double roles of practical applications first serving as racks for the holding of the beverage bottles and second the leggy support system. Last but not the least the table has been shown how it looks when lifted up the table top making more space for storage and getting it stained in that chco brown shade we have made it to look shabby chic piece.